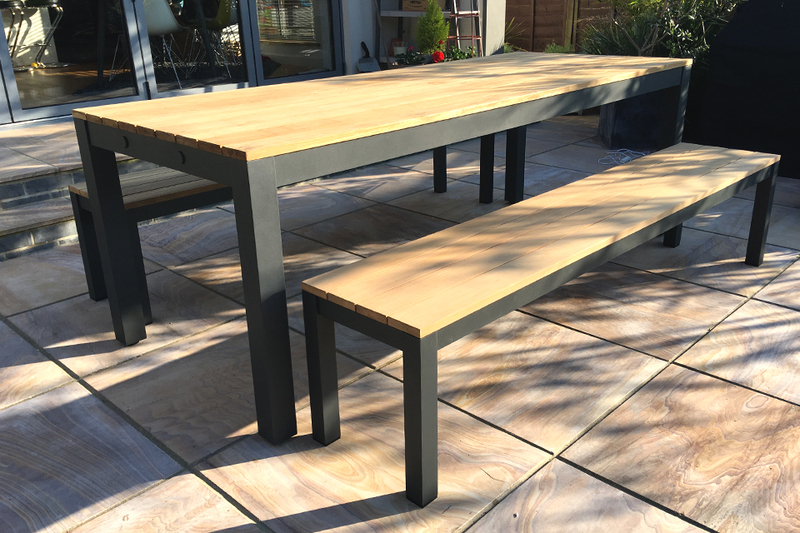 We had the pleasure of a visit to the Isle of Wight earlier this month to deliver one of the first sets of the Reclaim Dining Table and Benches in the new Anthracite shade. 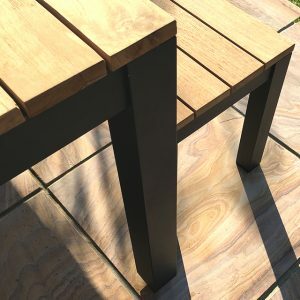 Last year’s Kubu colour was really popular, but we updated this year, as so many customers had asked if we could supply the set in a shade to match their bifold doors and windows. 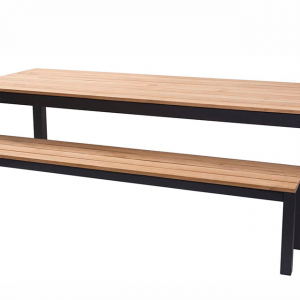 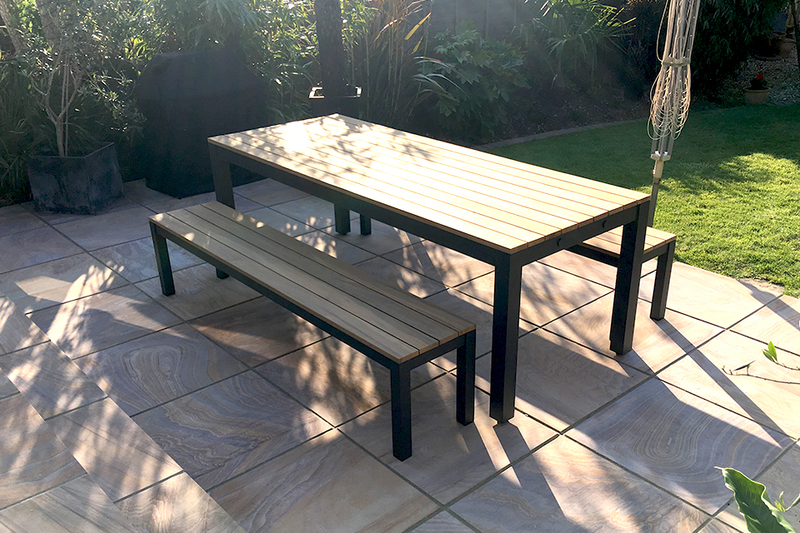 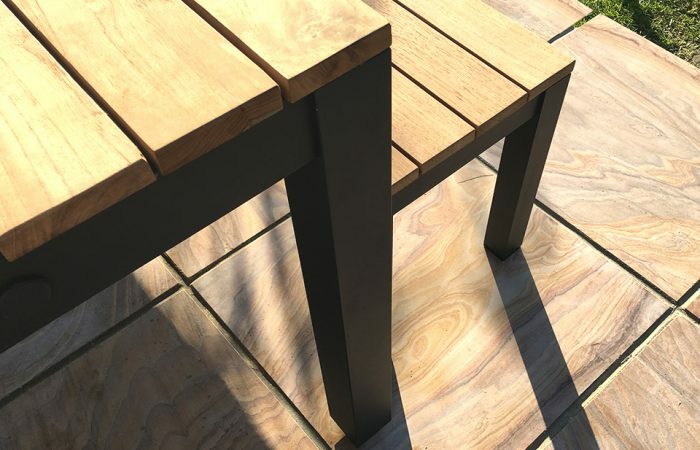 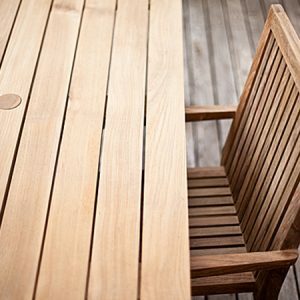 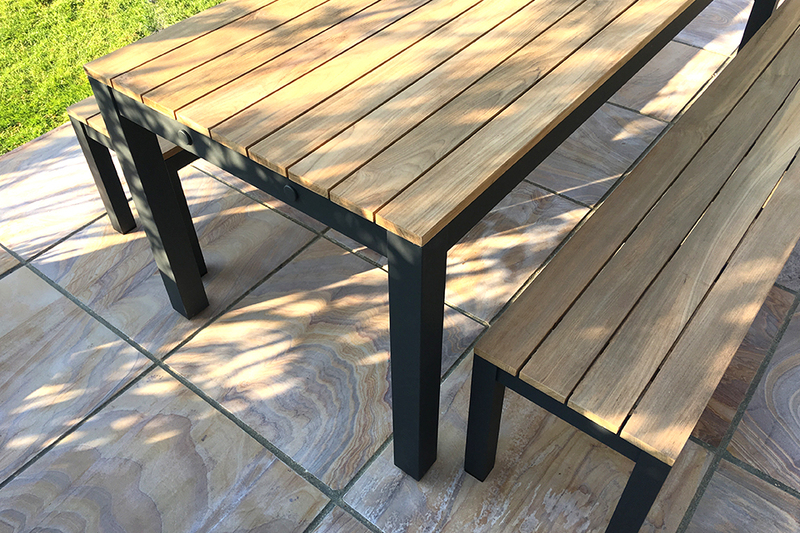 The Anthracite garden furniture colour looks really great up close, having a matt finish and really makes a striking contrast under the natural teak hardwood. 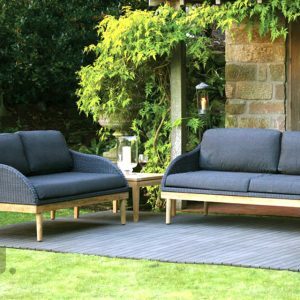 With so many people using anthracite bifold doors to create an outdoor room, we think this set will be really popular. 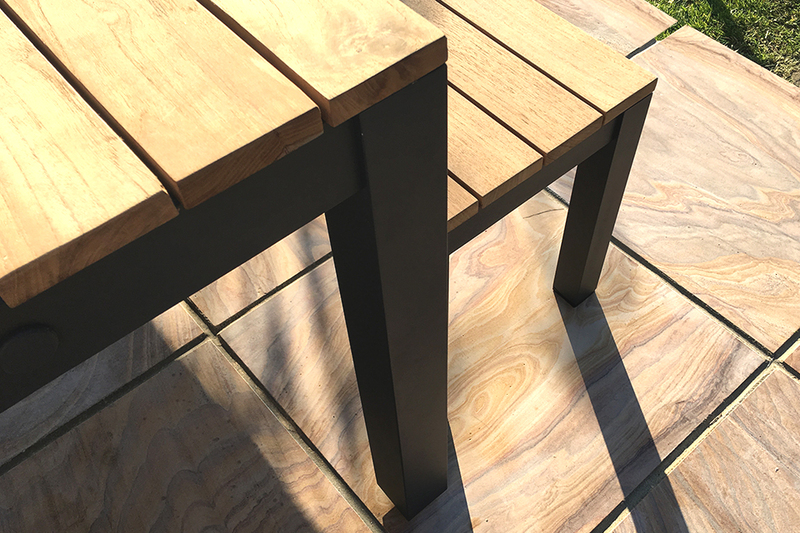 The customer we delivered this set to had the most wonderful stone patio. 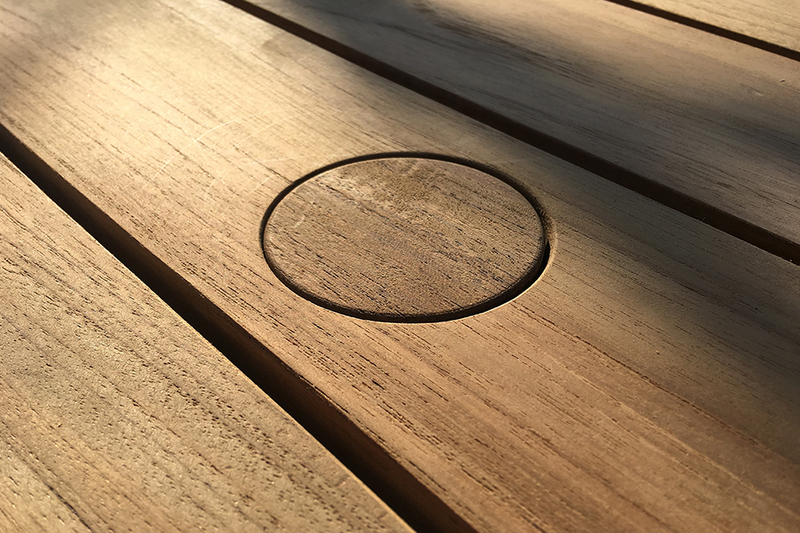 The stone almost looks like it has a wood grain. 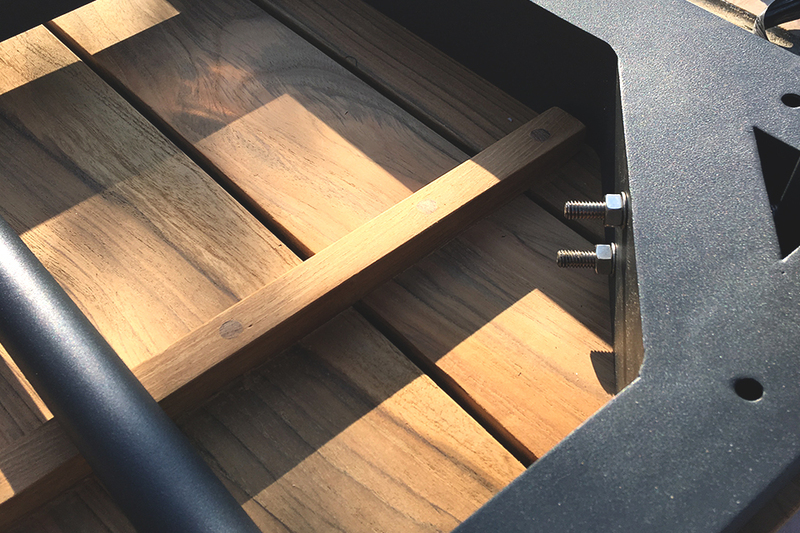 Check out the dramatic images we took.